Dudi Darma Bakti was born in May 1962 in Banndung Indonesia, where he grew up like many other Indonesians – with bamboo. Growing up, Dudi graduated in tourism and later switched to working in agricultural businesses. However, his true passion developed when he learned about the business opportunities provided by bamboo. Dudi saw in bamboo a crop that can provide multiple opportunities for the local community. 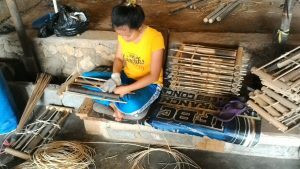 He made it his goal to build a bamboo business across the value chain. 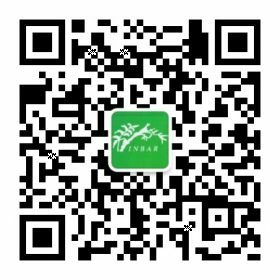 Although there are multiple business opportunities that derive from bamboo, Dudi was caught by one in particular. It was bamboo music. 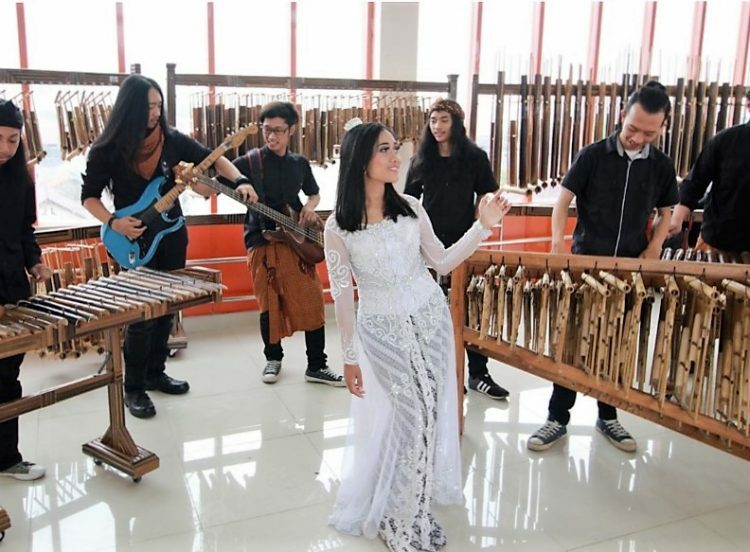 In 2015, Dudi organised an angklung festival in a few cities in the province of West Java. At this event, he met a few students of the Institute of Bandung art and culture who were eager to form a bamboo music band. Together, they are part of the band ‘Bamboo Souls’, which Dudi manages. Bamboo Souls produce most of their music on instruments they made themselves. All are traditional to Indonesia, such as the angklung and xylophone. The anklung is a handheld instrument made of tuned bamboo tubes set in a frame. Shaking frame produces musical notes. Due to the hollow structure of bamboo, less effort is required for the production of these instruments. All members of the band are students who find real enjoyment – as well as a small income – from making bamboo music. 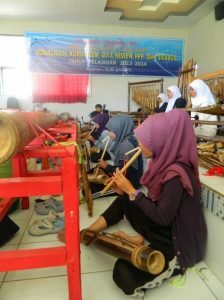 All students are personally connected to bamboo, which grows close to their homes and covers large areas of Indonesia, and learned to make bamboo instruments in school. Bamboo Souls meets once a week to practice, or more often if there is an upcoming festival. The group is now performing between three to five times a year at Indonesia’s ethnic music festivals, and more often at high schools and other public events. A video of Bamboo Souls practicing can be viewed here. Article by Ann-Cathrin Joest with contributions from Dudi Darma Bakti.